We live in a truly amazing age, although sometimes it’s easy to forget. We take for granted so many of the technologies and techniques that transform our lives for the better, like cosmetic dentistry. Cosmetic dentistry in St John’s Wood is better than it has ever been, allowing you to do things that you never would have thought possible. Here at Aura Dental, we provide a comprehensive range of modern cosmetic dental treatments. Would you like a brighter and whiter smile? Most people would because an improved smile comes with many advantages. You can feel more confident and more able to smile often, which can make you feel happier and laugh more freely. Veneers are thin but strong ceramic shells that are fitted to the fronts of your teeth. They can be used to reshape your teeth, repair damage and more. Chipped, cracked, stained or misshapen teeth can all be effectively disguised with veneers. Not only are they versatile, they are strong too. They are longer lasting for whiter teeth than teeth whitening, more durable than dental bonding when it comes to tackling gaps in your teeth and a faster way to achieve a smile full of straight teeth than braces. With cosmetic dentistry in St Johns Wood, veneers provide a perfect accessory to every outfit: a winning smile. The benefits of a new smile are often underestimated. A smile is the first thing people notice about you and at Aura Dental we can make sure it’s the last thing they’ll ever forget. In just 2 visits to our friendly practice, you can transform your teeth. 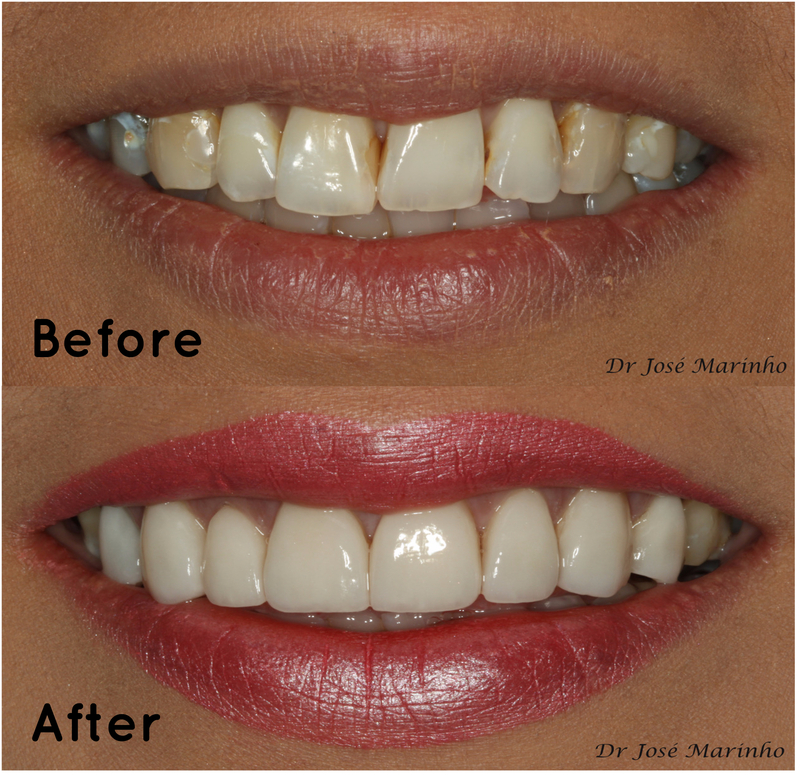 This is our most requested cosmetic treatment for whitening teeth and also the most cost-effective. Teeth whitening is carried out by our professional dentists and includes popular procedures such as the Zoom Whitening System and Enlighten. Our dentist will apply a protective gel around your mouth, lips and gums. A whitening gel is then applied to your teeth. A special light is used to activate this. It causes the whitening gel to bleach the enamel of your teeth, leaving them whiter and brighter. So call us today for the smile you’ve always wanted with cosmetic dentistry in St John’s Wood. This entry was posted in Cosmetic Dentistry on 21st April, 2017 by Aura Dental. We all want to have a smile we can be proud of, and it is becoming more acceptable to use cosmetic dentistry to achieve that smile. But how do you know which dental practice to go to for cosmetic dentistry in North West London? After all, having cosmetic dental treatment is just as serious as any other kind of dental treatment. The only difference is that the outcome is focused on appearance rather than health. At Aura Dental, our staff adhere to the standards set by the General Dental Council. Each of us is dedicated to offering excellence in cosmetic dentistry in North West London in a welcoming, friendly and relaxing environment. We offer a range of treatments to help you achieve the perfect smile for you. Maybe your teeth have become stained or discoloured over the years, in which case we can brighten them up with a teeth whitening treatment. You can have power whitening treatment in the dentist’s chair, which will lighten up your teeth by several shades in just an hour. In North West London, cosmetic dentistry treatments like this are perfect for important occasions, such as a wedding or job interview. We also offer home whitening, which you can do yourself over a couple of weeks using our custom-made mouth trays. If you have worn, chipped, slightly misaligned or gappy teeth, then porcelain veneers offer a quick makeover, with long-lasting effects. Veneers are tiny sheaths of porcelain that slip over the fronts of the teeth. They are fixed on with dental adhesive. The teeth to be treated are slightly ground down, so that the adhesive has something to stick to, and so that your veneer is in alignment with the surrounding teeth. You can have one veneer, several or a whole set. In North West London, cosmetic dentistry treatments can also help solve the embarrassment of a mouth full of metal fillings. We can replace your amalgam fillings with white fillings, which are made from a substance that can withstand the strong forces that come with chewing. Our white fillings can give you back the smile you were born with. This entry was posted in Cosmetic Dentistry on 31st March, 2017 by Aura Dental. Having a lovely smile can smooth your path through life in subtle ways, which you may only be aware of once you no longer have that lovely smile. If you have teeth that you feel let you down by being crooked, stained, crowded or full of old fillings, then you’ll know how easily even a subtle imperfection can stop you smiling as much as you’d like. Suppressing your smile can have subtle knock-on effects on your sense of well being, your social interactions, and maybe even your work. This is because people are hardwired to judge others on their smiles when they first meet them. In tribal terms, we are trying to work out if that person on the bus is a friend or foe, and so we smile at them. If they don’t grin back, we think ‘foe’. We don’t think ‘maybe they’ve got crooked teeth and are too self-conscious to smile’. In St John’s Wood, cosmetic dentistry has no more popular treatment than teeth whitening. It is a safe, fast, and effective way to remove common stains such as nicotine, coffee or red wine. It can be carried out at the clinic in one session, or over a couple of weeks in your home. Thin pieces of porcelain attached to the front surfaces of your teeth can quickly improve their appearance. Veneers are a great option if you have permanently discoloured teeth, small spacing or alignment issues, or for teeth that have small chips or cracks. One veneer can be used to improve the look of a permanently stained tooth, while a full set can create a smile makeover. The porcelain from which they are made is very robust and can last for 10 years or more, depending on how well you take care of them. These are another very popular option for cosmetic dentistry in St John’s Wood. This entry was posted in Cosmetic Dentistry on 24th March, 2017 by Aura Dental. As we grow older, our teeth experience normal wear and tear. However they can also become chipped, misshapen or discoloured. Lifestyle factors can affect your smile as well. For example, smoking and drinking tea and coffee regularly can stain your teeth, while playing contact sports may damage or break your teeth. Sometimes, even genetics are against us, since not many people are born with perfectly straight teeth. Not having your ideal smile can be a serious blow to your self-esteem. More importantly, it may also lead to dental health issues. Misaligned and damaged teeth can cause you to chew irregularly and put unnecessary pressure on your jaw. With cosmetic dental treatments, our experienced cosmetic dentists at Aura Dental in St John’s Wood can help you overcome some of these problems and achieve the smile of your dreams. Two particularly popular options are teeth whitening and veneers. Here’s a quick run through of what they involve and how they can help enhance your smile. Many people aren’t happy with the look of their teeth because they are stained or yellowed. You can now restore the brilliance back to your teeth with cosmetic dentistry in St John’s Wood. Smoking is a major factor contributor to staining.Likewise, coffee, tea, red wine and dark-coloured foods can leave behind stains. Certain medications can also darken your teeth. We offer professional teeth whitening treatment with our in-clinic and at-home teeth whitening systems. Both treatments are safe and effective with promising results. When you come to see one of our experienced dentists, your teeth will be examined to find out if teeth whitening is right for you. Dental veneers are thin, custom-made shells of porcelain attached to the fronts of your teeth. They are used to recreate the natural look of your teeth and are just as strong. Porcelain veneers are commonly used to change the shape, colour and size of your teeth. They can also be used to disguise slightly misaligned or crooked teeth. If you’re tired of your less-than-perfect smile and are looking for cosmetic dentistry in St John’s Wood, contact us today for a consultation. This entry was posted in Cosmetic Dentistry on 3rd March, 2017 by Aura Dental. What would you like to change about your smile? 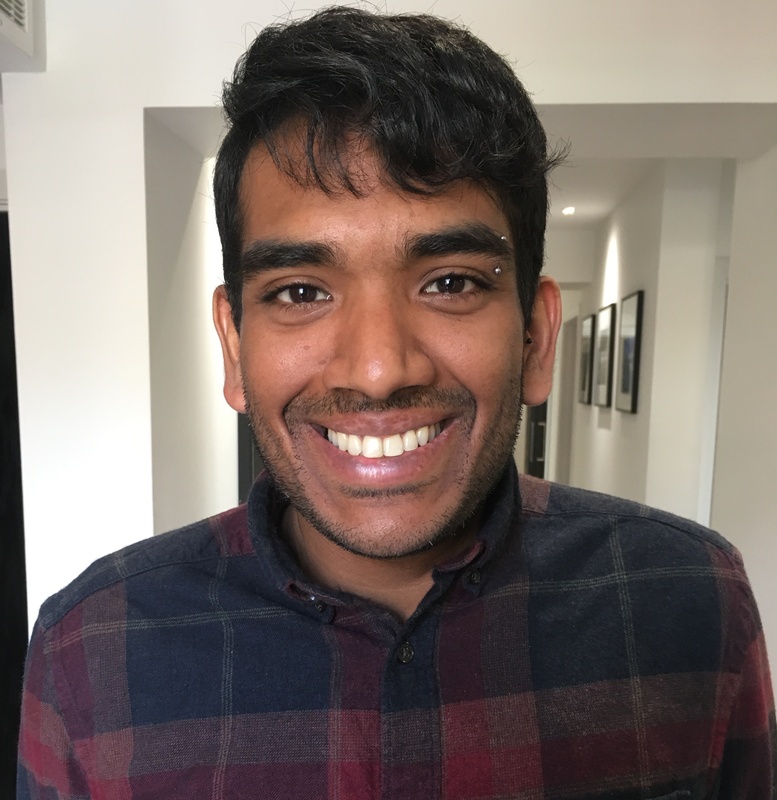 If you want to use it more often and feel good about doing so, you might want to consider cosmetic dentistry in St John’s Wood at Aura Dental. We help patients revive the sparkle in their smile with one of the cosmetic treatments in our range. We can focus on one aspect of your teeth or you can choose to think about your teeth holistically and choose procedures that enhance one another for a beautiful finish. The colour of your teeth can say a lot about you. We tend to think of bright teeth as young, healthy and indicative of a high level of self-care. Whether you have lost a bit of the pizazz in your teeth due to ill health, lifestyle factors or the natural effects of aging, teeth whitening may be able to help. You can opt to restore your teeth to their original shade or you might choose to go a bit brighter if you can. As long as the effect matches what you think of as a top-notch smile then this is a successful treatment. 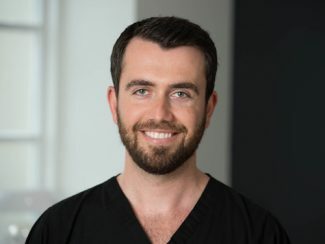 When you have cosmetic dentistry in St John’s Wood, one of our skilled practitioners will advise you about whether your teeth are suitable and what can be achieved. Some practices report that more than 50% of their patients who get braces are now adults. This is because people realise that they can have cosmetic orthodontic treatments that give them the look they have always wanted. There are many methods of straightening available including those that describe themselves as invisible. This means they are designed to minimise the impact of your treatment on your look. As you can often have braces for a number of months, you might consider one of these options if you regularly need to make a positive impression on new people at work or socially. Yes, you can change the colour and position of your teeth but you are stuck with the shape, right? Not necessarily. If you only have minor gaps or misalignments in your teeth, then changing the shape might be a possibility. This could save you a lengthy realignment with braces. Ask your dentist about veneers if you think this might you. This entry was posted in Cosmetic Dentistry on 24th February, 2017 by Aura Dental. There are a number of ways that you can find new dentists in St John’s Wood to work with. You might take a recommendation from a friend or perhaps look online. Once you start looking into a practice, there are a few things that you want to check. It’s not just about treatments that you need but also about elective procedures that you might want in the future. At Aura Dental, we have a great team working alongside our dentists. In St John’s Wood, at our clinic, we want patients to feel comfortable from the minute they walk through the door. When you are making appointments or sorting out payments for dental work, you will meet our professional administration staff who will be happy to help you. The best way to find out about our whole range is to come in and discuss it with us. Most come under three basic categories: preventive and routine, cosmetic and restorative. We offer routine check-ups to all our patients. These usually take place at six monthly intervals, but might be more frequent if you have something we need to monitor, like the after-effects of a recent treatment. You might also be offered cleaning and polishing to look after your teeth and bring out the best in them. You can revitalise your whole look by concentrating on your smile. It can be lightened, straightened or enhanced in a number of ways. To investigate the possibilities for you, visit us at Aura Dental so that we can make an assessment of your teeth and gums. Come with any questions you have and we will do our best to address any concerns. We can repair chips and cracks to restore the integrity of your teeth and make them look great as well. If you have gaps in your smile or think you might be losing your teeth then we can offer you options to address this as well. Choosing a dentist is about meeting your current needs and anticipating what you will want in the future. We provide a comprehensive service to all of our patients and we are confident that you can rely on us at Aura Dental. This entry was posted in Cosmetic Dentistry on 22nd February, 2017 by Aura Dental. It’s perfectly natural to want to have healthy teeth and an attractive smile that makes you feel happy and confident as you go about your daily life. Unfortunately life does not always give us what we want and you may feel that Your smile and overall dental health lets you down. 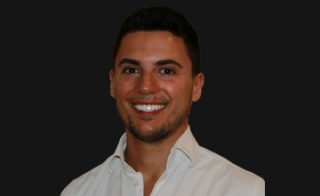 If your teeth have been affected by the rigours of daily life, then have you may have considered cosmetic dentistry In St John’s Wood, Aura Dental has helped many local residents to improve the appearance of their teeth using a range of procedures that help to enhance and make-over your smile. Even if you think that your teeth are too crooked or discoloured to be restored, you should definitely come and talk to us about what would be possible for you. If your teeth are stained or discoloured from drinking coffee or smoking, you may just need to have your teeth whitened. Veneers can be custom-made to alter the colour, size and shape of teeth, and crowns can be used to restore damaged teeth by covering them completely. Orthodontic treatments can be used to improve the alignment and position of your teeth. Cosmetic braces straighten them discreetly using the latest techniques and materials. And of course if you have lost teeth, the appearance of your teeth can be restored using bridges, dentures or dental implants, which also help to support the lips and cheeks, preventing you from developing that sunken look that occurs when you have missing teeth. Here at Aura Dental in St. John’s Wood, cosmetic dentistry and great customer service are all part of the positive service that we aim to provide for our patients. Ultimately our goal is to ensure that everything about your dental experience with us is positive, we really do want to give you plenty to smile about. We offer the latest treatments, using advanced dental technology such as 3D x-rays and imaging equipment, with the latest techniques, in the modern, calm and relaxing surroundings of our practice. Before any treatment commences, we provide all the information about the diagnosis and available options. All the information is provided in a clear and easily understandable way, allowing you to make the decisions about how you wish to proceed. This entry was posted in Cosmetic Dentistry on 27th January, 2017 by Aura Dental.